I had purchased these towels over about a year ago. As soon as I received them, I did not like them at all. I purchased them thinking I could embroider something on the white band. But, the contrast was too stark for me. So, into storage they went. Lately I've been trying to use what I have. 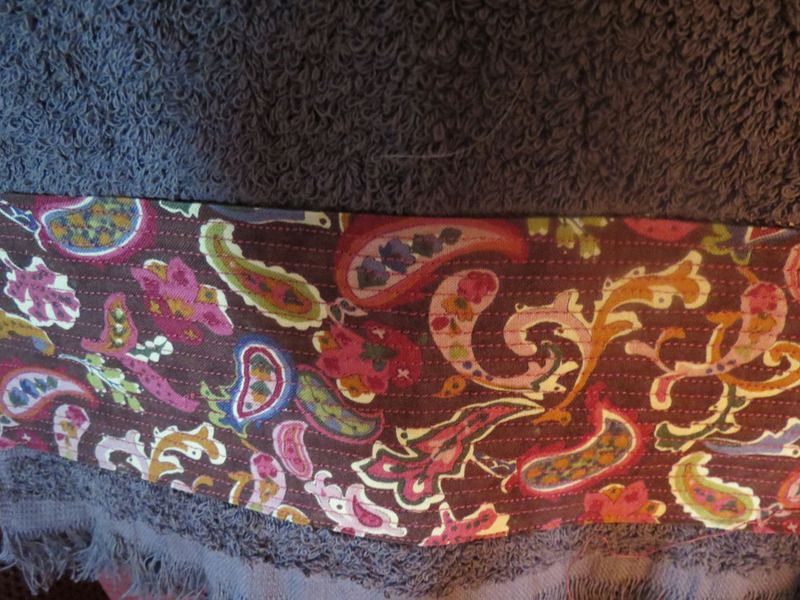 Then, I came across some fabrics that matched the towels. So, here's how I am able to disguise the part I did not like and now use them as kitchen towels. I wanted to cover both sides so I cut out rectangles of fabric at least 1 in wider and 2" longer than the block I wanted to cover. 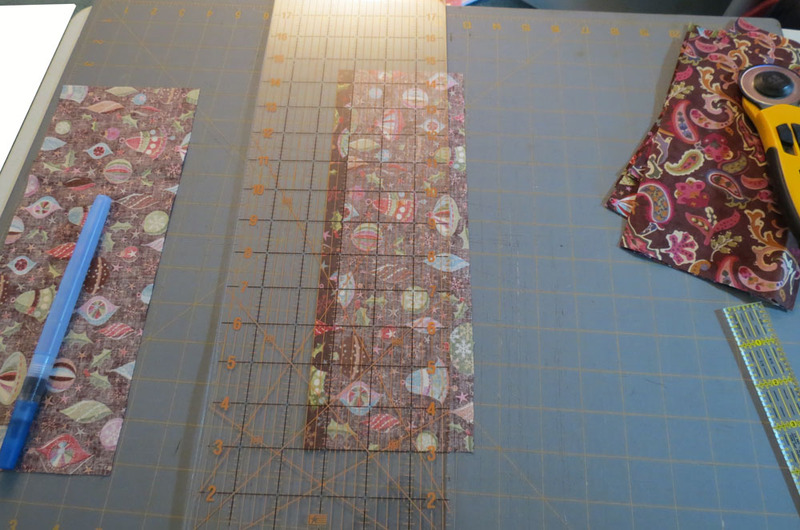 Then I used the Clover fabric folding pen to place a 1/2" fold on all the sides. 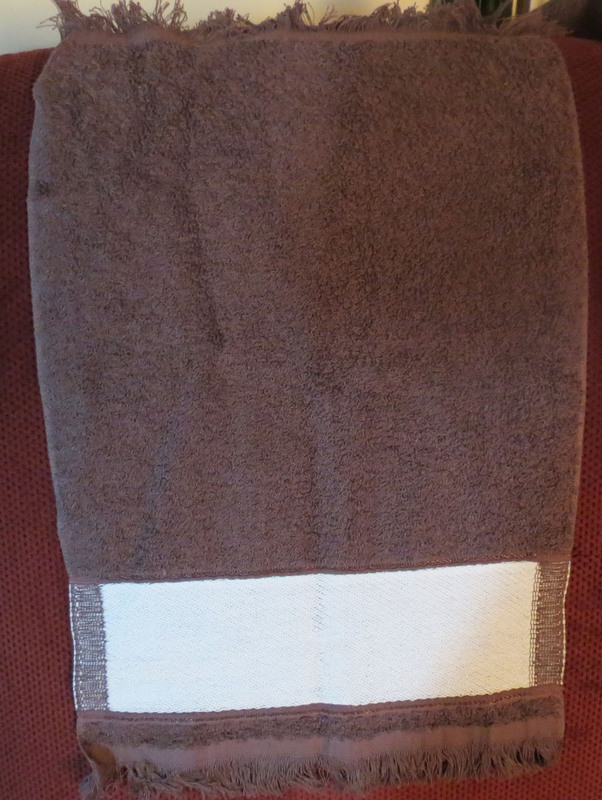 I placed one piece on the first side and wrapped the ends around the towel to the other side. There was probably a 1/2" wrap on each side. I secured with pins and/or tape. Then I flipped over the towel and repeated the process. This time, I folded the ends under without wrapping on the sides at the towels edge. It made a clean end for the towel. From here, I just simply ran sewing lines every 1/4 inch. 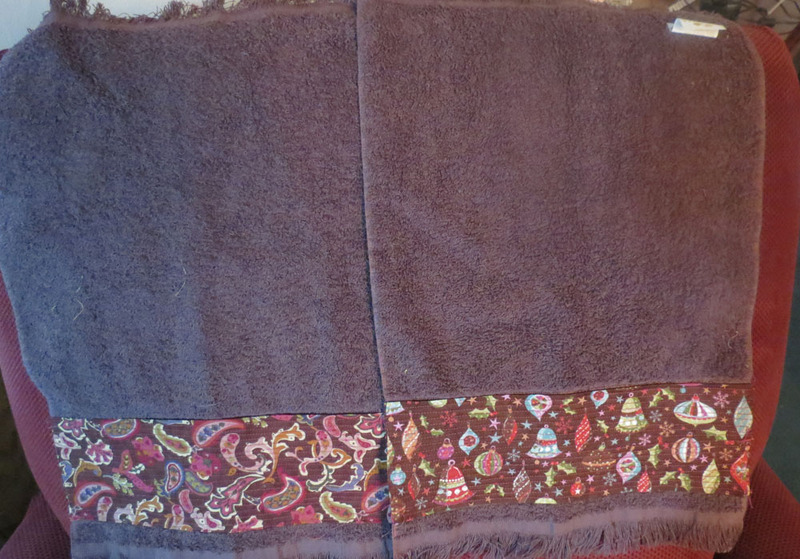 It made it a little stiff, but I'm hoping that it will soften up in the wash. My intention was to complete one towel as an everyday towel and one as a Christmas towel. I was not paying attention and ended up putting one of each on the first towel. One side is Christmas themed and the other is everyday. I decided to leave it that way since now I can use it everyday! I completed a second one in no time. Now I just have to search for some more stash fabric to use on the rest.